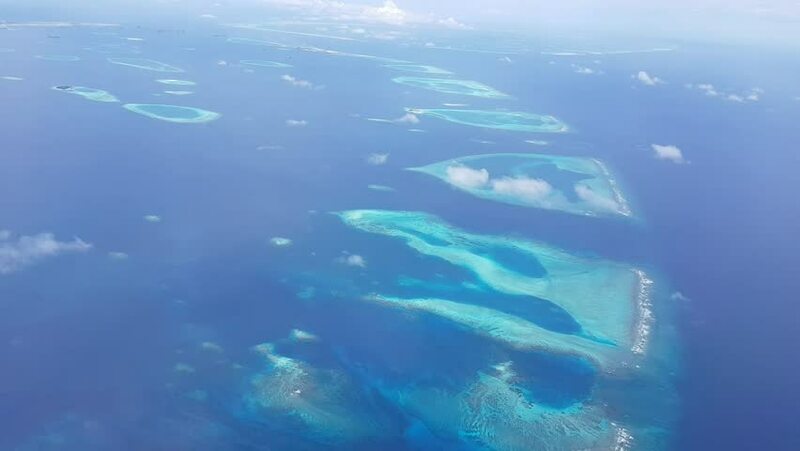 Island Of Maldives On The Sky, Blue Indian Ocean, Aerial Shot Island Atoll Of Maldives. 4k00:114K POV OUT OF JET WINDOW. hd00:18Calf humpback whale underwater in sun rays of Indian Ocean. Young Megaptera Novaeangliae in pure transparent water of Reunion island. Amazing unique aquatic sealife. Relax.